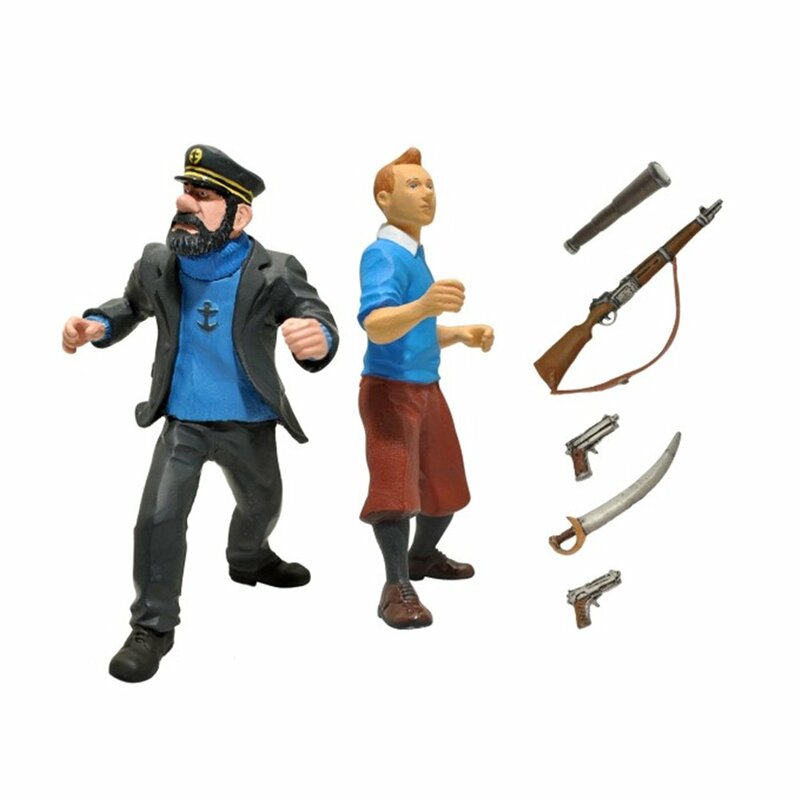 Tintin, Haddock and 5 accessories: a rifle, two guns, a sword and a telescope. 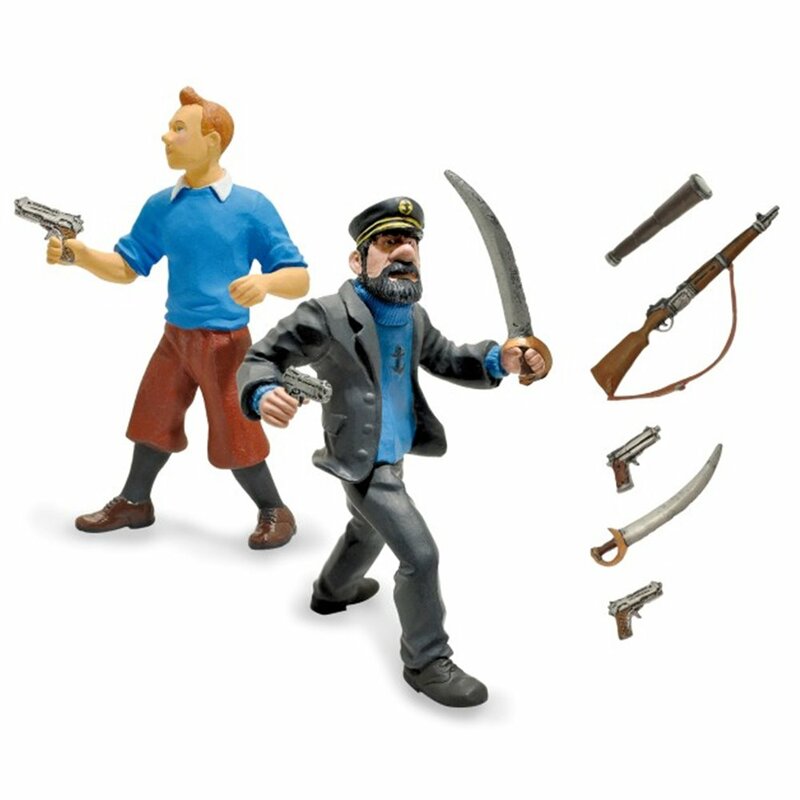 PVC figures from The Adventures of Tintin, The Movie. 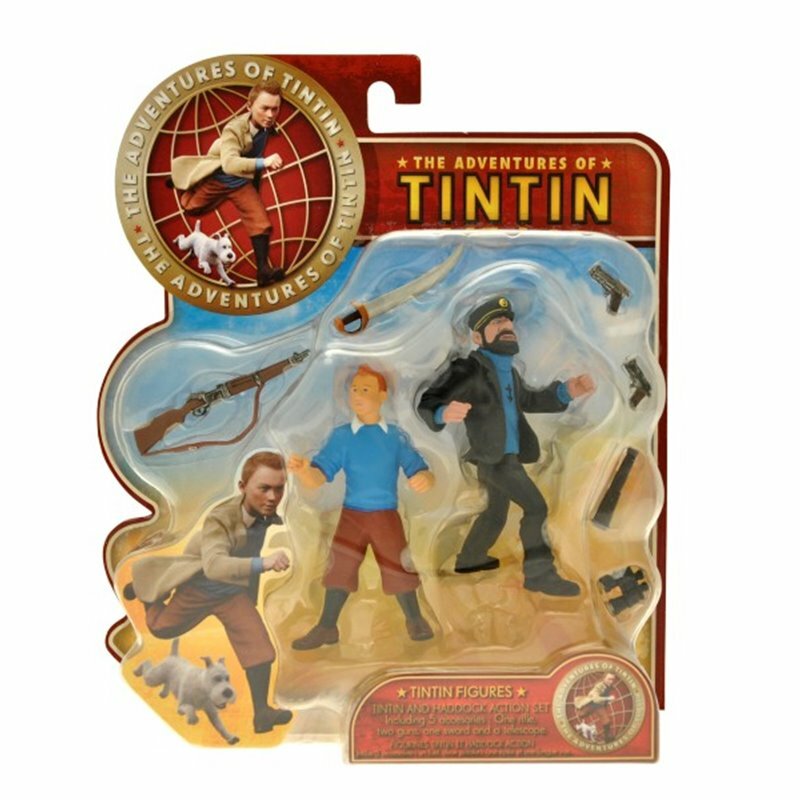 Tintin measures 9cm.